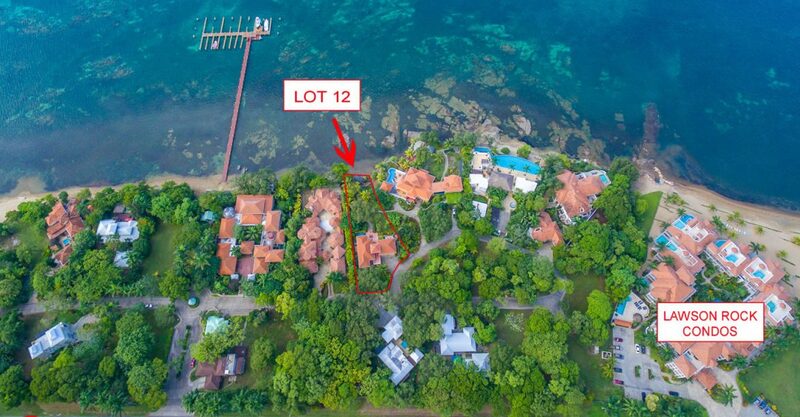 3 bedroom beachfront home for sale in Lawson Rock, Roatan with its pool nestled into the soft white sand of the beach. 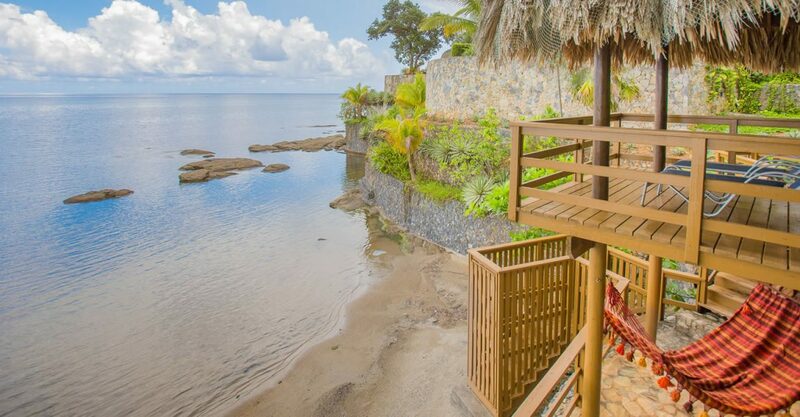 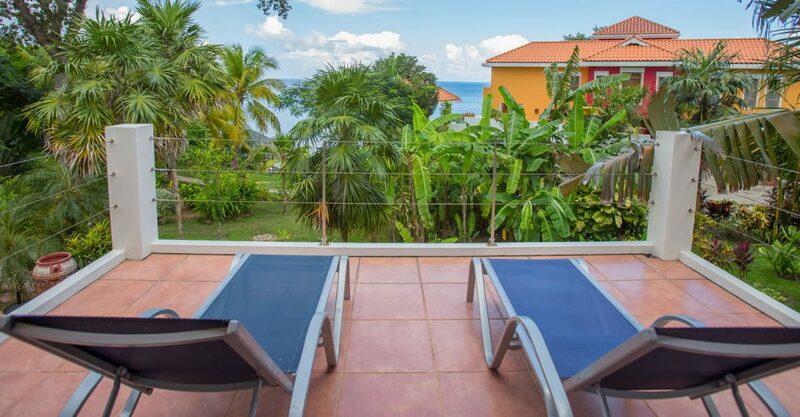 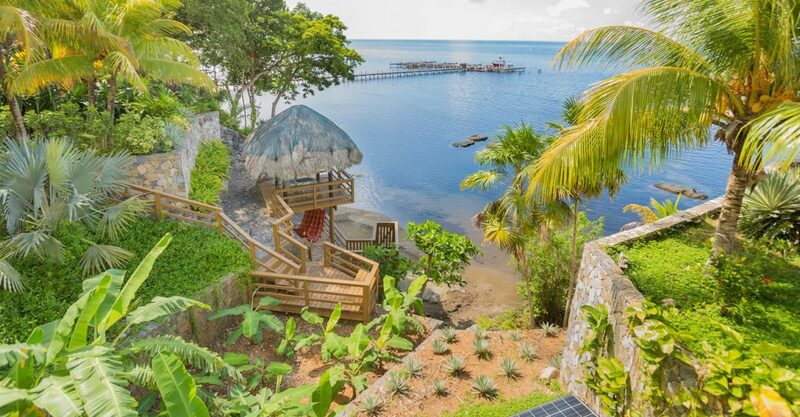 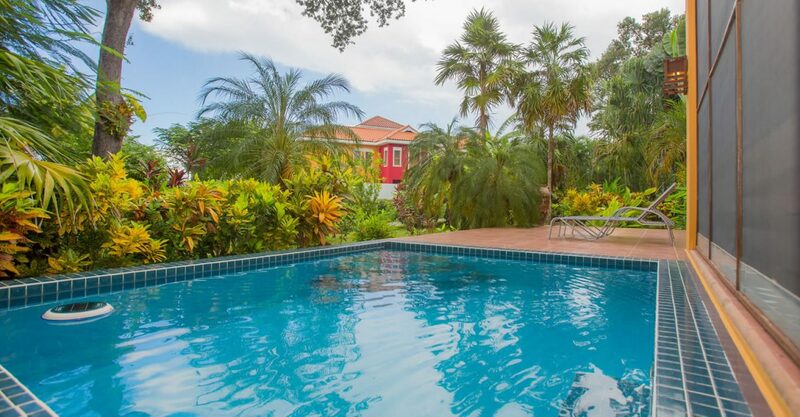 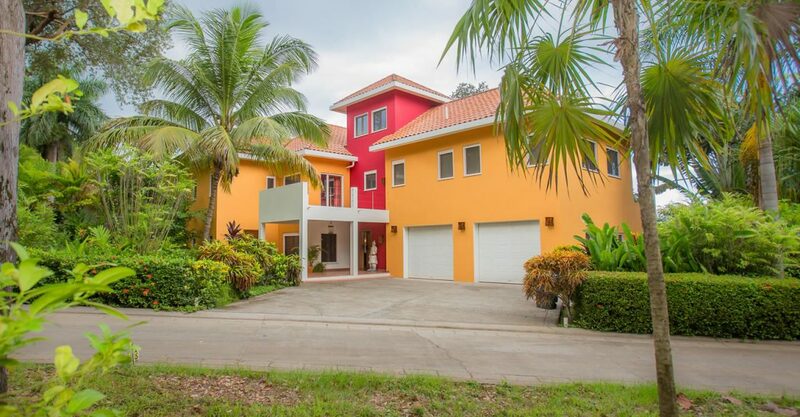 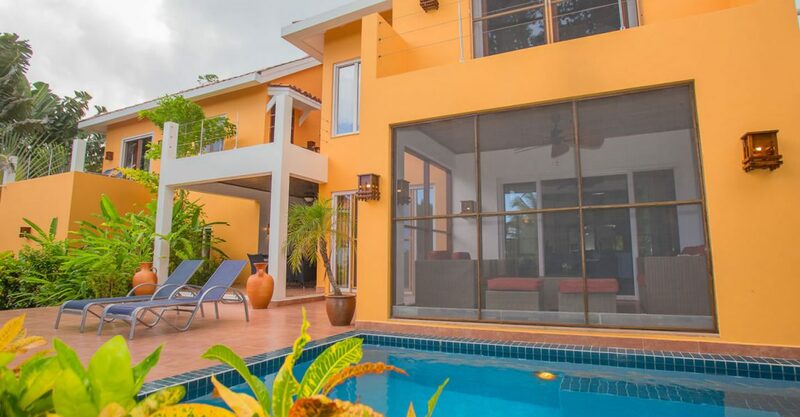 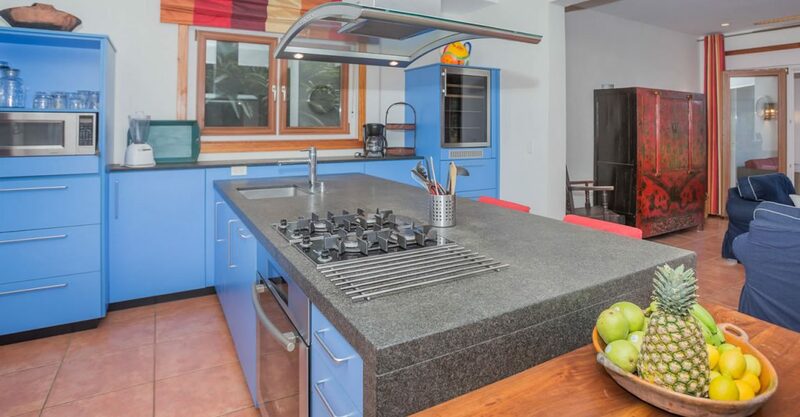 This home enjoys a sought after beachfront location within Lawson Rock in Sandy Bay on the western Caribbean island of Roatan in the Bay Islands. 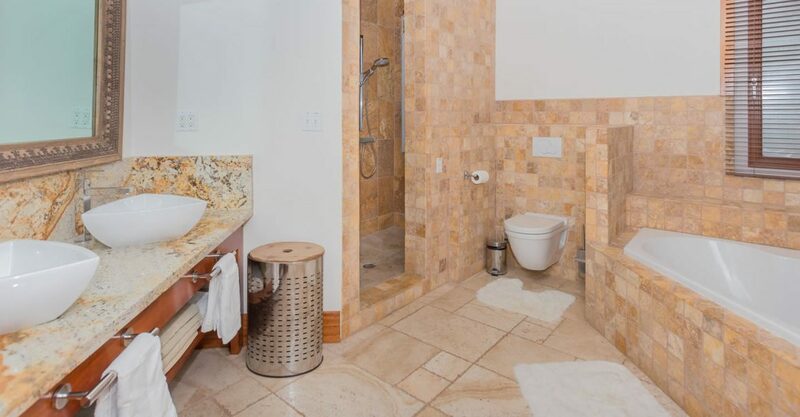 Designed by Hal Sorrenti design, the beach house was built by builder DV Woods. 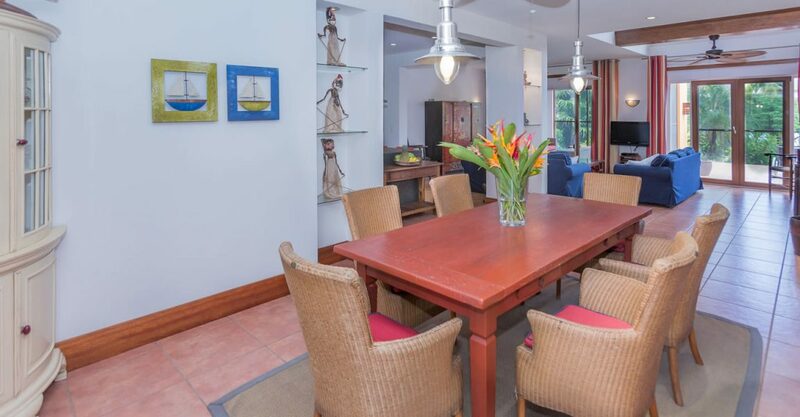 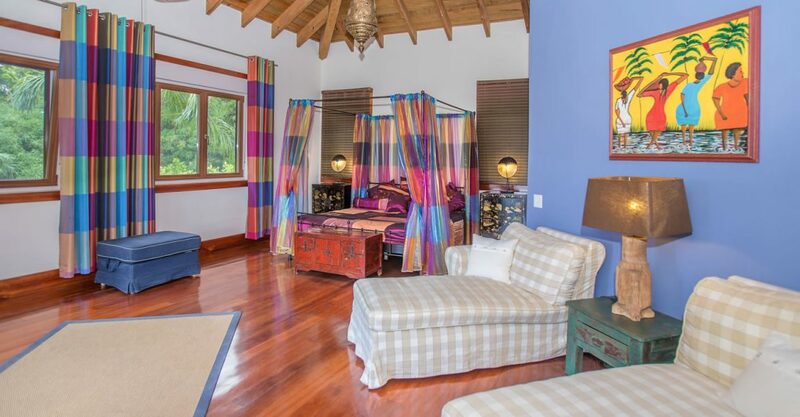 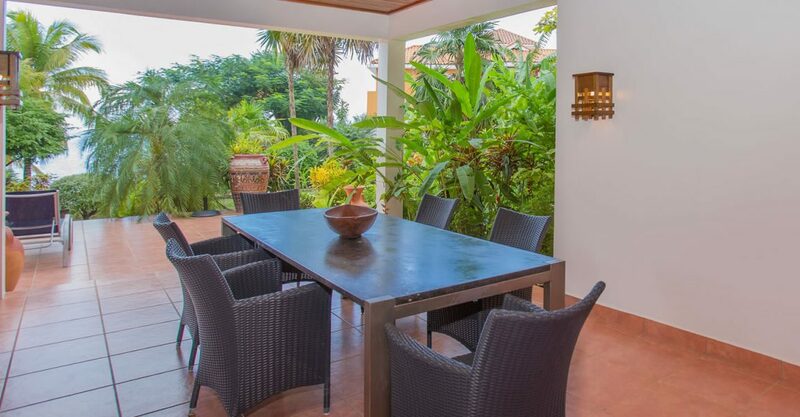 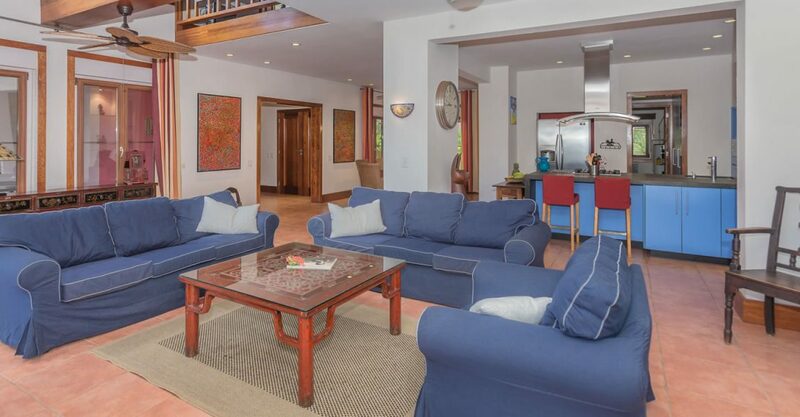 The interior features a spacious open concept living area with dining area and kitchen which opens up to a second outdoor living and dining area surrounded by lush tropical gardens and a plunge pool. 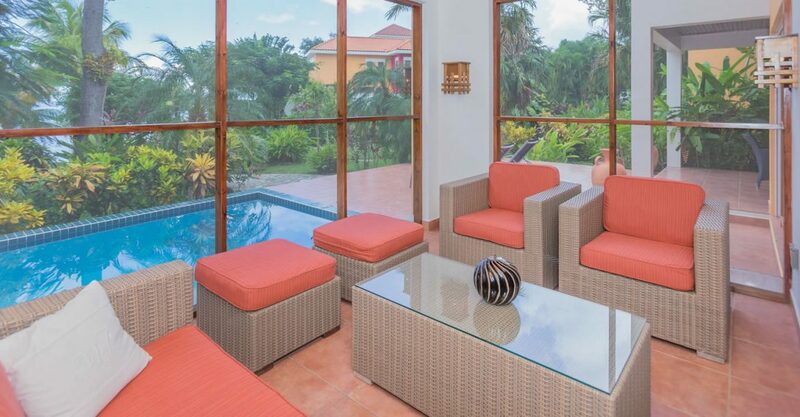 The garden area leads to an oceanfront palapa that overlooks the beach. 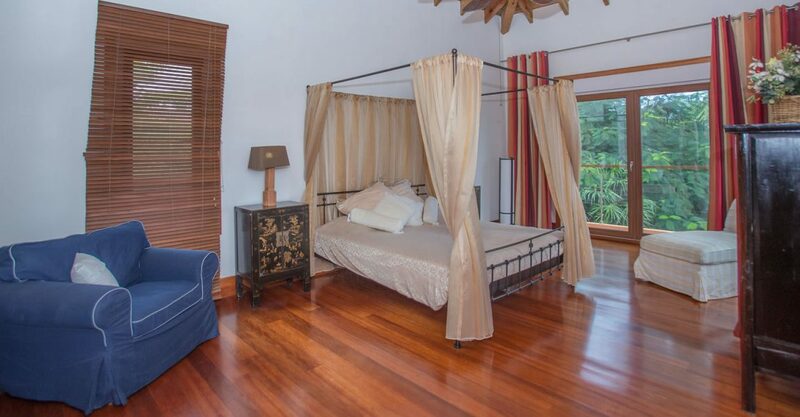 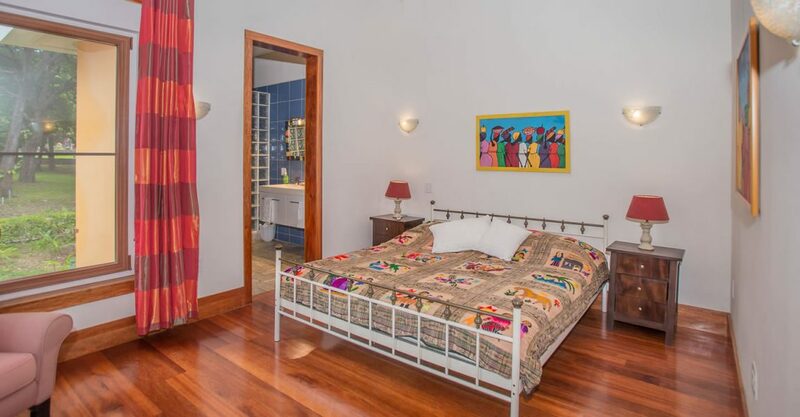 There home offers 3 master bedroom suites on the third floor, all of which include private terraces. 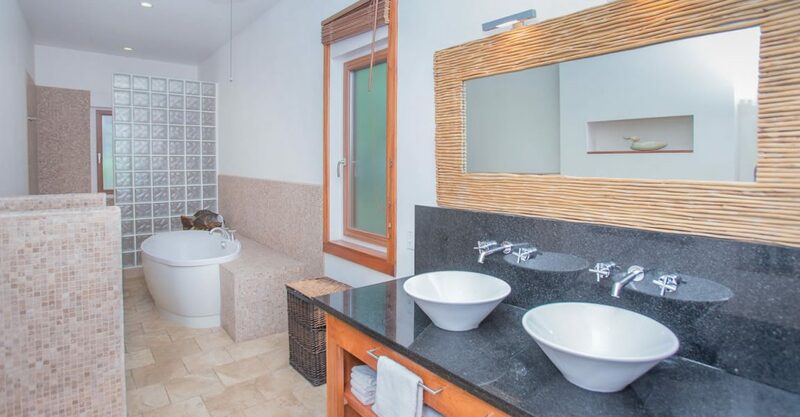 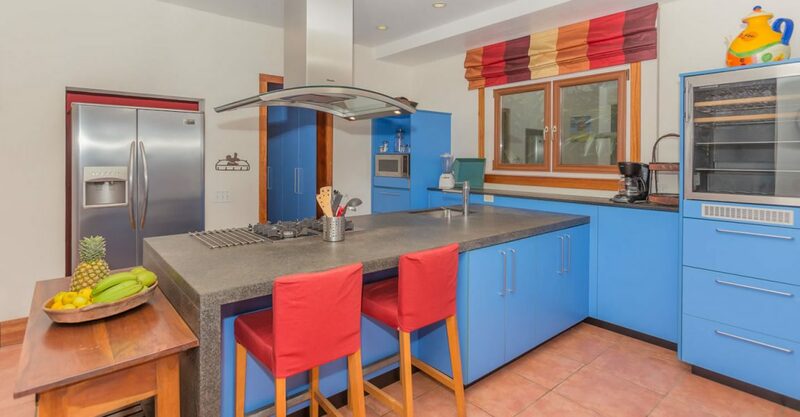 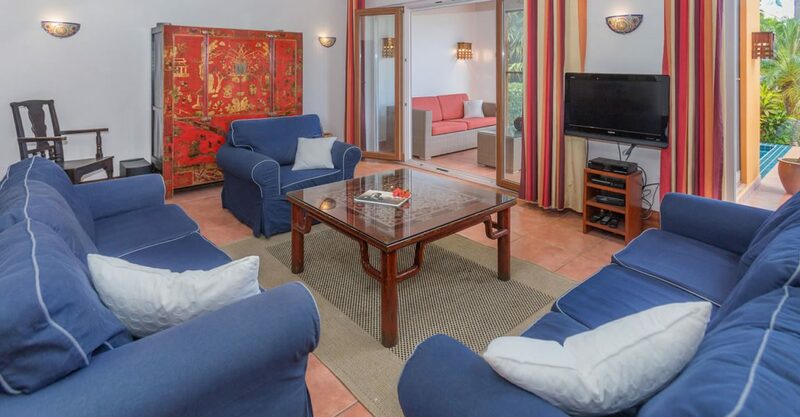 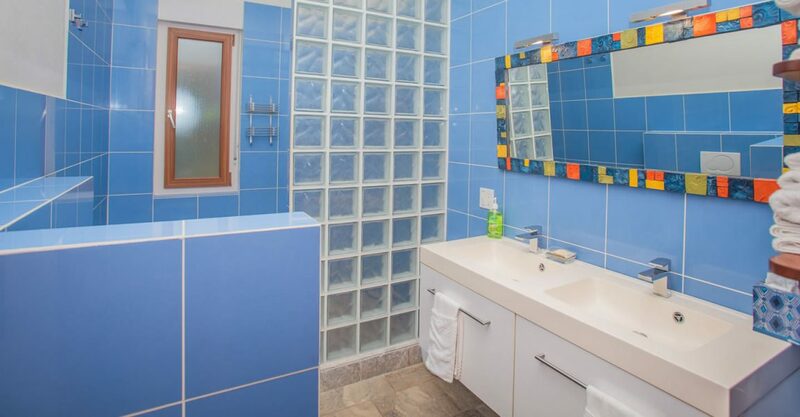 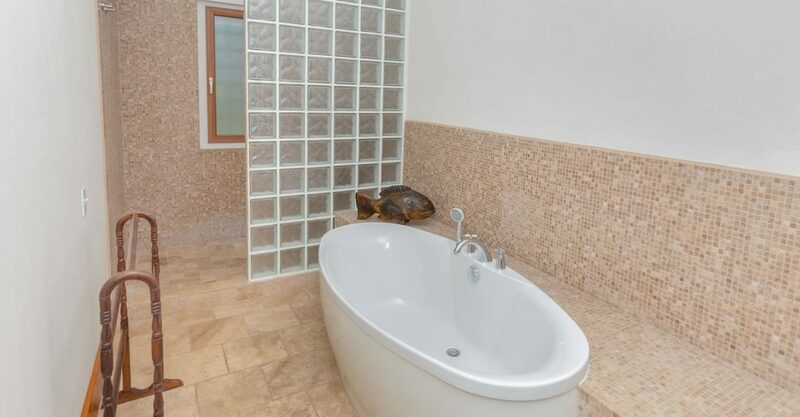 This home is offered fully turnkey with furnishings and equipment such as a generator. 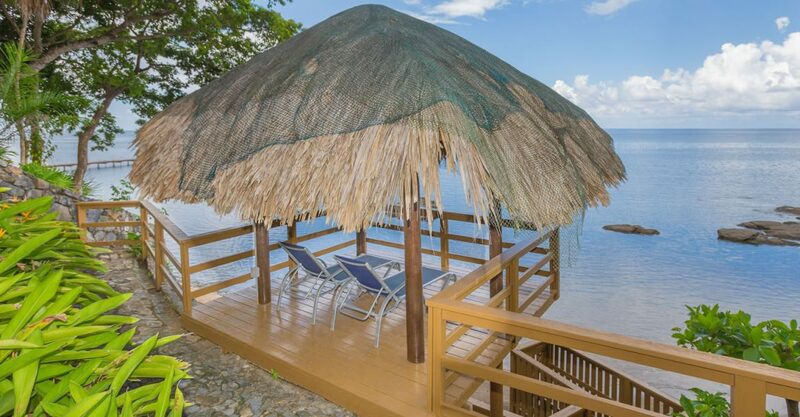 Located in Lawson Rock, one of the most prestigious communities on Roatan, this condo enjoys use of a range of amenities, including 3 pools, access to 2,600 feet of beachfront, 2 docks, snorkeling right off the docks, exercise room, 24-hour security and restaurants.